Tonight is the first big night of fall season Premieres. There was Gotham, Scorpion, Forever and season 2 of Sleepy Hollow. This is the recap of Gotham and Scorpion. ***SPOILER ALERT*** If you have not seen either, beware. Gotham started with a teenage girl with large steampunk style goggles on her head stealing milk and pickpocketing. Moments later she gives the milk to a cat, guess who she is...that is right Selina Kyle a.k.a. Cat Woman. Along with Bruce, she observes the murder of Martha and Thomas Wayne. Soon we see Jim Gordon and he and the grieving Bruce become chummy. During the investigation we come across the mob boss Carmine Falcone, along with a young girl called Ivy who keeps playing with plants, Edward Nigma who keeps asking questions in the form of riddles, and a squeaky guy working for the mob that they tease by calling him penguin. REALLY?!?!?! All of them in the first episode?!? Then there is the confusing part of Gordons' corrupt partner being named Harvey, not Harvey Dent though. Seriously, why do you blow this big of a wad this soon? The end of the episode is after Jim tells Bruce they did not catch the man who killed his parents and Jim drives away. On his way out, who do we see perched on the wall overlooking Wayne Manor? No one other than the illustrious Selina Kyle. I am hopeful that they will leave these not yet known villains alone and move on with the story. I am doubtful, though. The story and the acting were great all around. My only negative is the overindulgence of the not-yet-known villains. I am sure next episode we will see the beginnings of Mr Freeze, King Tut, the Joker and maybe an appearance of the soon to become Two-Face. If they bring in Lee Meriweather, Eartha Kitt, or Julie Numar to be the mother of Selena, I am done. For now, the story(without the gag villain cameos), the acting and the premise all seem top notch. I am looking forward to episode 2 before I pass real judgement. I hope to hear what you all think. Drop me a line and let me know where you think I am on point and where you think I strayed. 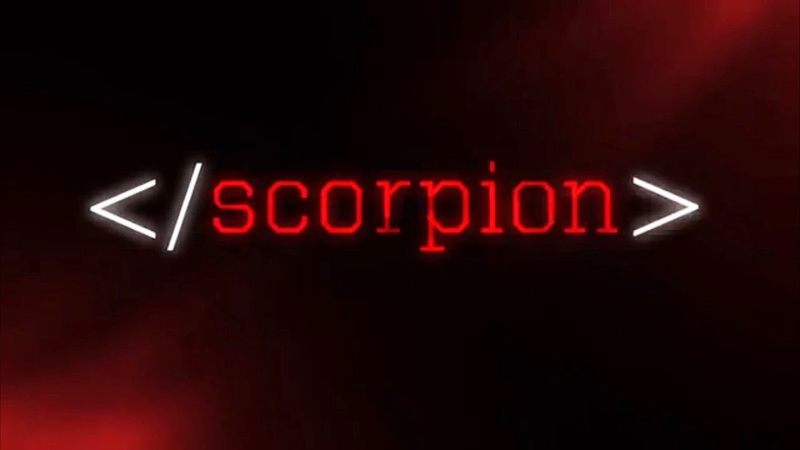 Scorpion is the alias of a young boy who hacked into NASA to get the blue prints of the shuttle to put on the wall. Move forward several years and Scorpion has grown up. He created a think tank of sorts with three colleagues who are: a mechanical prodigy, a human calculator and a world class shrink. Within the first five minutes I liked this show way more than I like Gotham. I am sure there is tons of technobabble that causes plot holes but since I am not a technogeek, I am good to go. Some parts of it really stretched the realm of believability but still I loved it. This show is punchy, with good writing and acting. There is a fair bit of action and drama that are not commonly found in the same single hour of network tv. This show I will recommend to anyone. Yeah, I really like this show so far and I really look forward to seeing what happens next week.